Dart. Ranged Weapon Attack: + 5 to hit, range 20 ft./60 ft., one target. + 1 Weapon. Melee Weapon Attack: + 6 to hit, reach 5 ft., one target. Hit: 1d6+4 bludgeoning damage or 1d8+4 bludgeoning damage if used with two hands to make a melee attack. Unarmed Strike. Melee Weapon Attack: + 5 to hit, reach 5 ft., one creature. 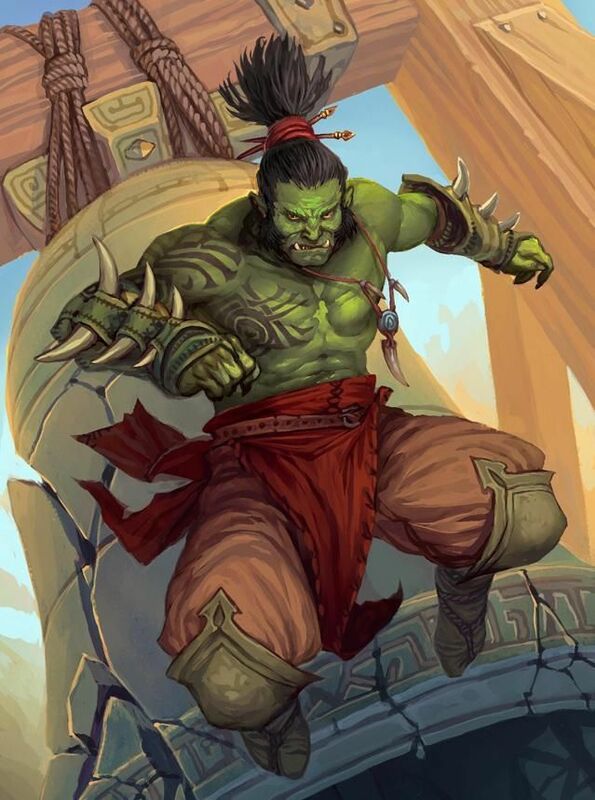 Gorim Ironfist has traveled far from an remote monastery somewhere in the Sunset Mountains. He had been sent by the elders of his monastery to learn about the ways of the Realms outside of the isolated monastery that had been his entire world since he was born.